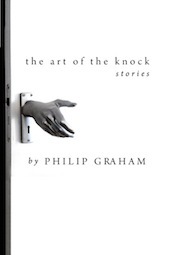 Philip Graham studied with his mentor Grace Paley for an undergraduate degree at Sarah Lawrence College, and with Donald Barthelme and Frederick Tuten for a graduate degree in creative writing at the City College of New York (CUNY). He is the author of a collection of prose poems, The Vanishings (Release Press, 1978), listed as one of the best small press books of the year by Library Journal ; The Art of the Knock: Stories (William Morrow, 1985), listed as one of the ten best new works of fiction of the year by the San Francisco Chronicle ; Interior Design: Stories (Scribner, 1996); and the novel How to Read an Unwritten Language (Scribner, 1995; paperback, Warner Books 1997), nominated and longlisted for an International IMPAC Dublin Literary Award. 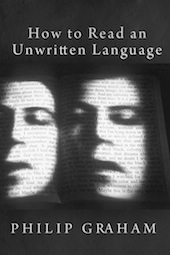 In the fall of 2014, Dzanc Books reprinted The Art of the Knock, How to Read an Unwritten Language, and Interior Design (with snappy new covers and introductions by the writers Roy Kesey, Kyle Minor and Alex Shakar) in their contemporary literature e-book reprint series, rEprint. 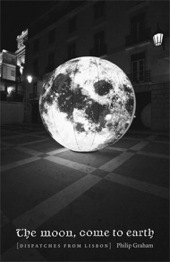 The Moon, Come to Earth: Dispatches from Lisbon (University of Chicago Press, 2009), is an expanded edition of his dispatches from Lisbon that appeared regularly on the McSweeney’s website. 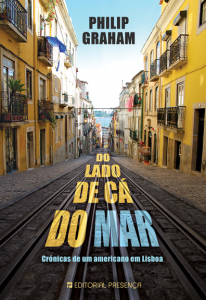 The book was published in a Portuguese translation, by Alberto Gomes, and with a new title, Do Lado de Cá do Mar, by Editorial Presença in February, 2012. 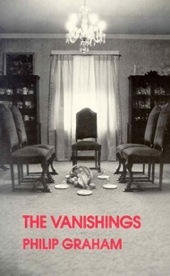 He is also the co-author (with his wife, the anthropologist Alma Gottlieb) of the memoir of Africa, Parallel Worlds (Crown/ Random House, 1993; paperback, University of Chicago Press 1994), which was the winner of the 1993 Victor Turner Prize and has been taught at over 300 colleges and universities internationally; a second volume, Braided Worlds (also co-authored with Alma Gottlieb), was published by University of Chicago Press in 2012. All royalties from these two books are dedicated to the Beng people. 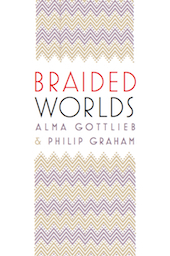 In 2020, East China Normal University Press will publish a Chinese translation of Parallel Worlds and Braided Worlds. Graham’s fiction has been published in The New Yorker, North American Review, Carolina Quarterly, Fiction, The Washington Post Magazine, Missouri Review, Western Humanities Review, Crab Orchard Review, Los Angeles Review, Ocean State Review, and elsewhere. His essays have appeared in the New York Times, Chicago Tribune, The Washington Post, McSweeney’s, The Millions, Brevity, Essay Daily and Poets & Writers Magazine. His work–fiction and nonfiction–has been reprinted or translated in Bulgaria, China, England, Germany, the Netherlands, Portugal, and India. 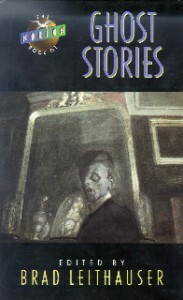 His work has been anthologized in many collections, including The Norton Book of Ghost Stories (edited by Brad Leithauser), Turning Life into Fiction (edited by Robin Hemley), The Year’s Best in Fantasy and Horror (edited by Ellen Datlow and Terri Windling), and In the Middle of the Middle West: Literary Nonfiction from the Heartland (edited by Becky Bradway). 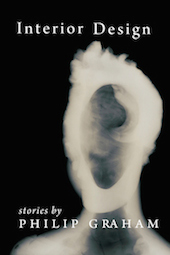 An excerpt from Braided Worlds, “Mad to be Modern,” appears in the anthology Being There, edited by Sarah Davis and Melvin Konner (Harvard University Press). 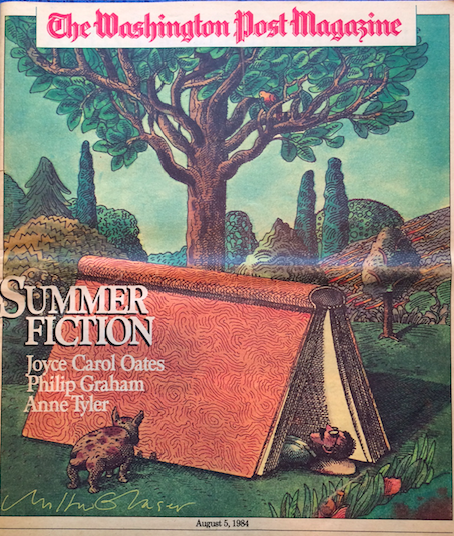 His essays on the craft of writing have appeared in Rules of Thumb: 73 Authors Reveal Their Fiction Writing Fixations (edited by Michael Martone and Susan Neville), Words Overflown by Stars (edited by David Jauss), and Now Write! 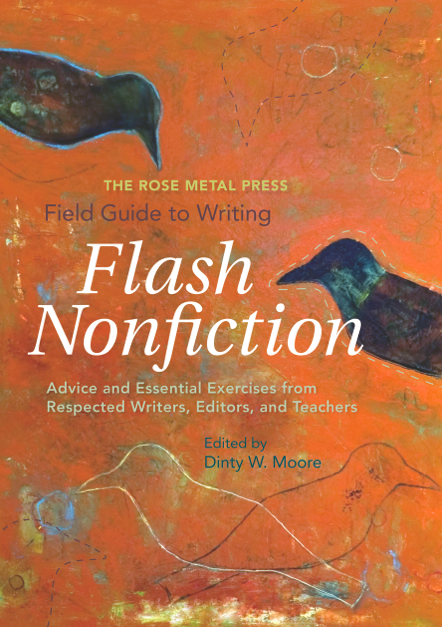 Nonfiction: Memoir, Journalism, and Creative Nonfiction Writing Exercises from Today’s Best Writers and Teachers (edited by Sherry Ellis). His essay “The Ant in the Water Droplet” appears in The Field Guide to Writing Flash Nonfiction, edited by Dinty W. Moore (Rose Metal Press, 2012). Since 1991, Graham has written over 40 book reviews for the Chicago Tribune, The Millions, Fiction Writers Review, Inside Higher Ed and The New Leader, about the work of Norman Rush, Stanley Elkin, John Hawkes, Margaret Atwood, Thomas Berger, William H. Gass, Nadine Gordimer, Joyce Carol Oates, Andrea Barrett, Peter Handke, Paul Auster, Chinua Achebe, Isabelle Allende, Peter Carey, José Saramago, J.M. Coetzee, Sandor Márai, Clarice Lispector, Mia Couto, and Antonio Tabucchi, among others. Graham is the recipient of a National Endowment for the Arts Creative Writing Fellowship, a grant from the National Endowment for the Humanities, two Illinois Arts Council grants, and the William Peden Prize in Fiction, as well as fellowship residencies at the MacDowell and Yaddo artist colonies. He was a Visiting Hurst Professor at Washington University during the fall of 1996. Over the years Graham has also served as a visiting writer in a number of international writing/teaching residencies, including the Abidjan Writers’ Workshop in Côte d’Ivoire; a spring writing seminar at the University of Leuven, Belgium; the Geneva Writers’ Conference in Switzerland; the Disquiet Literary Conference in Lisbon; a City of Hong Kong University’s MFA program residency; a Vermont College of Fine Arts summer residency in Slovenia; Sun Yat-sen University’s first annual International Writers Residency, China; and the Kostova Foundation’s Sozopol Literary Seminars in Bulgaria. 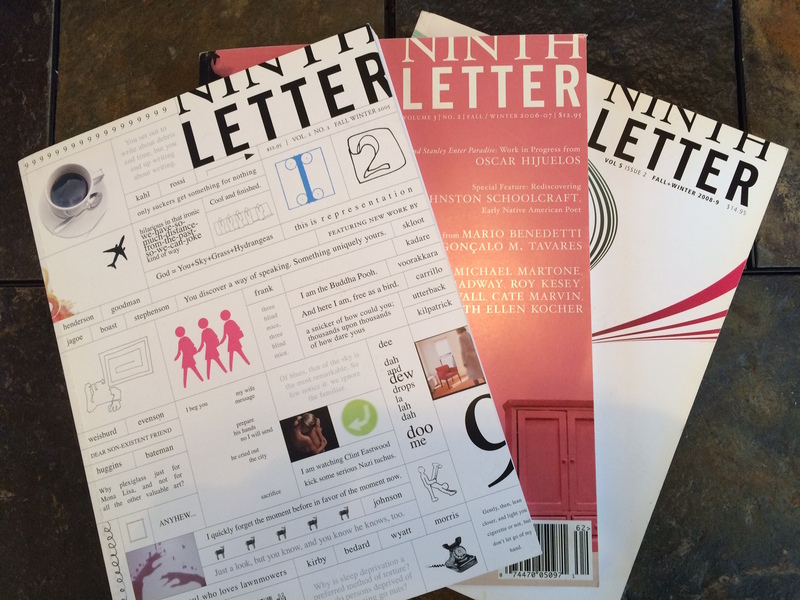 Graham is a Professor Emeritus of the University of Illinois, Urbana-Champaign, where he was a co-founder of the award-winning literary/arts journal Ninth Letter. Since 2002 he served as either the fiction editor or nonfiction editor, and he is currently the editor-at-large (for the magazine’s Featured Writer/Artist webpage). The recipient of three University of Illinois campus teaching awards, Graham appeared 60 times on the university’s List of Excellent Teachers. For ten years he was also a Core Faculty member of the Vermont College of Fine Arts MFA program in Writing. Graham and his wife Alma Gottlieb now divide their time between Providence, Rhode Island, and Santa Fe, New Mexico. 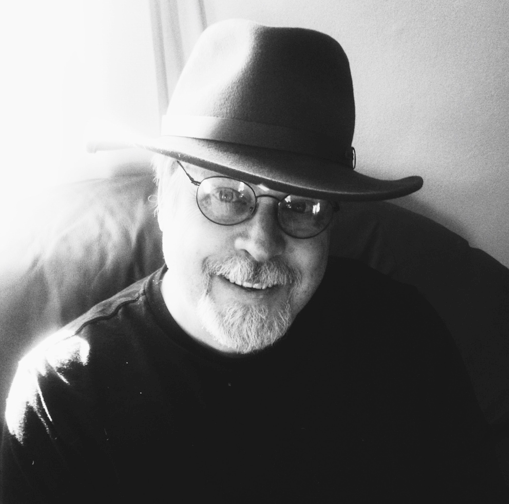 His current writing projects include completing a novel, Invisible Country (several chapters of which have appeared in literary magazines over the past decade); a novella, inspired by his volunteer work near Ground Zero in New York (an excerpt, “8:46,” was published in The Los Angeles Review and has been reprinted online in Numero Cinq); That’s the Way Fire Is, a book on the craft of writing (based on the blog posts on this website and his craft lectures on fiction and non-fiction at the Vermont College of Fine Arts and elsewhere); and Circling the Gravity Well, a collection of personal essays. 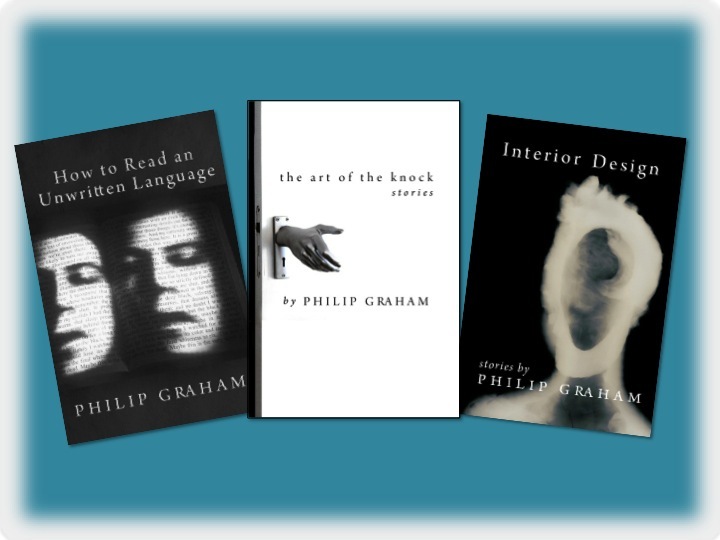 The relentlessly curious can find additional information on Graham’s most recent publications, events and various comings and goings at News & Updates.